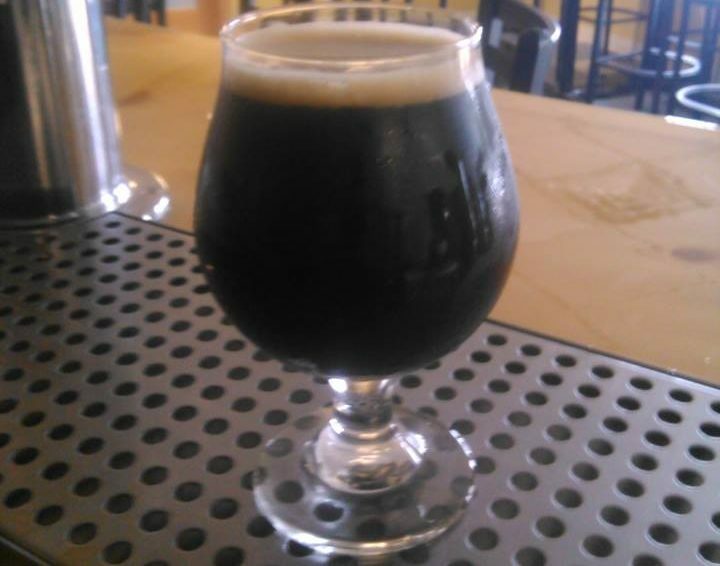 “Black Friday” is the perfect day for the release of SWEETNESS Imperial Sweet Stout! Sweet Stout is the official name for the milk stout style (which means that lactose is used to provide some creamy sweet flavor/aroma as well as adding some weight to the beer’s body/mouthfeel) and at 9.3% ABV Sweetness is definitely of the imperial variety. Rich, creamy, smooth, dark and dangerous, Sweetness will help get rid of that trytophan torpor the day after Thanksgiving! And, if you’ve already run ouf of Thanksgiving leftovers our good buddies WE GO WAFFLES food cart will be serving their unique Belgian waffles fare from 5 to 8 (and quite possibly beyond). Sweetness will also be on tap at our Westport Brewhaus starting at 3 on black Friday. Do your “shopping” on black Friday by supporting your local nano-brewery! I’m very excited about this one (and yes it’s named after his favorite football player EVER). GRAINNE’S SPECIAL BITTER, our acclaimed Extra Special Bitter (ESB), makes its debut at our Taproom on Friday October 27th! Robin Shepard of the Isthmus named Grainne’s Special Bitter his favorite beer of 2015 (https://isthmus.com/food-drink/beer/a-look-back-at-the-best-beer-of-2015/) and the following February a firkin (10 gallons) of “GSB” lasted for a whopping five hours at the Malt House during our tap takeover there. In fact I recall that back in the summer of ’15 at the Malt House I told Bill Rogers that we had brewed GSB. In response he asked: “So who’s going to drink it?” I replied saying well, Grainne, and Ian, and, umm (the two Brits we could think of offhand who would appreciate it). We both laughed. What happened afterwards with the first batch was quite a pleasant surprise: it was much more popular than I anticipated and I also recall upon first tasting it thinking to myself: WOW this is really good!! Our ode to “the” ESB (Fuller’s) is just that. Showcasing English malts (starting with Baird’s Maris Otter) and hops (Northdown, Target, Challenger and Fuggles). I’ve also learned to respect the English yeast strain we use by limiting fermentation temperature to 65 degrees. Any higher (even a degree or two) leads to the production of undesired banana-like fruity esters. This new batch shows MUCH promise and after two weeks fermentation was clocking in at 6.3% abv. GSB will be on tap when we open at 3 and come on by. Our first Oktoberfest party at our Taproom (1444 E. Wash) is happening on Sunday October 1st. It features the debut of WESTPORTIERFEST Oktoberfest at the Taproom AND our good buddies Smokin’ Cantina will be firing up 100 brats from 3 to 7! Don’t put that lederhosen away yet!?! Westportierfest is probably the last Märzen released this year so get ready for nicely lagered Munich maltiness. It’s finished fermenting at 5.4% ABV and has been lagered at 45 degrees for the past week or so. Rich bread crust-like malt character that shall pair perfectly with Smokin’ Cantina’s smokin’ brats! Meanwhile please note that our Westport Brewhaus will be CLOSED that day so our staff (namely me) can enjoy our big Oktoberfest celebration at our beautiful Taproom! 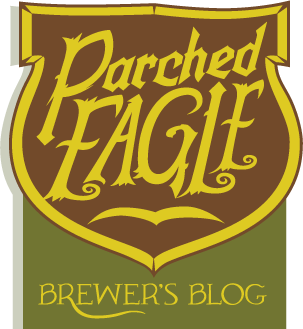 Next Saturday heralds the release of a brand new beer at the Parched Eagle Taproom at 1444 E. Wash: BLUE MILK Belgian Blonde Ale brewed with lactose sugar! The release of Blue Milk coincides with the installation of a new Star Wars pinball machine at Maria’s next door and is (of course) a Star Wars reference (think Episode IV). Blueberry extract is an option if you want Blue Milk to be blue!? Initial tastes showed much promise and it will finish out at around 6% ABV. Blue Milk will only be available at the Taproom as it’s a special beer brewed for the new pinball machine installation occasion. Meanwhile that same day Burgeoning Goth Queen Oatmeal Stout, the house beer for the Taproom, will be making its official debut at our Westport Brewhaus starting at 2! Happy Great Taste of the Midwest week all! Yes the best beer fest in the universe is right around the corner and we’ve got three special releases making their collective debut for Great Taste Eve on Friday at our new Taproom at 1444 E. Wash (and at our brewery in Westport)! When we open at 3 we’ll have all three on tap along with several other sumptuous selections: Old Sugar rum barrel-aged Brookie’s Sour Brown Flanders Oud Bruin, Templeton Rye Barrel-aged Cherry Brookie’s Sour Brown, AND Homie American Barleywine! The barrel-aged sours have been aged for 11 months. Plenty of Brettanomyces was pitched into our Old Sugar rum barrel and a substantial sour character has developed in recent months. Hints of “barnyard” and “horse blanket” along with a lovely red wine acidic character and oak notes from the barrel along with hints of rum. The Templeton Rye barrel we bought already featured a Lactobacillus infection so “Lacto” combined with plenty of “Brett” to add layers of acidic complexity coupled with an infusion of cherries last fall! There’s also a definitive oak character from the barrel along with some rye spiciness and a bit of smoke, presumably also from the barrel. And now on to HOMIE American Barleywine! 93 IBUs and it features locally-grown Centennial hops for flavor and aroma. A huge malt character up front balanced by all those IBUs and except plenty of citrusy Centennial hop character in the aroma. It was at 10.2% abv when last checked over a week ago: hopefully it’s crept up to its 11% target! This is very much a FRESH American Barleywine featuring plenty of hop character to go along with tons of delicious maltyness. I’m excited about all three special releases! Metropolitain Food Cart will be on hand from 5-8 serving their delicious New Orleans street cuisine and our partner Art In has this going on: http://www.artinmadisonwi.com/event/vein-rays-gentle-brontosaurus-marty-finkel/! Two of the special releases will also be on hand at our brewery in Westport starting at 3 that day (Templeton Rye Brookie’s Sour Brown and Homie American Barleywine). I’ll be behind the bar in Westport from 3 to 6 then will head straight to the Taproom to celebrate Great Taste Eve!